Implants are the most modern technology for fill in missing teeth. We can fill one or more teeth without grinding nearby teeth, how we make it when it goes about bridge. You have to make an implantation as soon as possible, even if it costs a lot. Incomplete smile causes more problems than you think. Other teeth are loaded during eating, it leads an occlusion deformation or crooked teeth. We use modern European implants technology, from the best European suppliers. 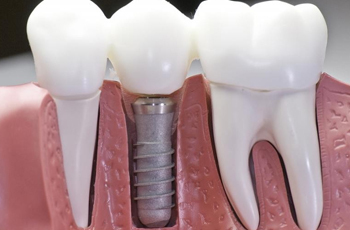 When we choose implants we don’t have to use removable dentures.